Island View House, originally a fisherman's cottage, is nestled in the quiet and typically Greek Village of Mavrata (Μαράθα) in Kefalonia. 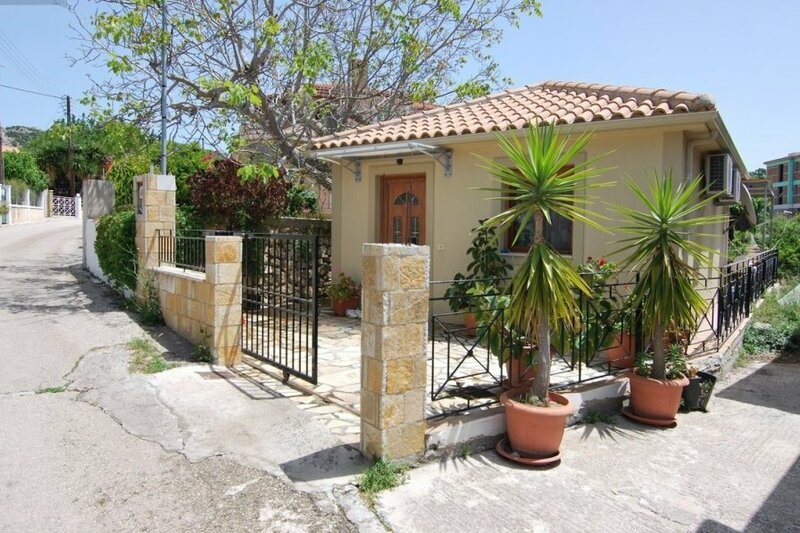 This pretty little air-conditioned one bedroom house, elegantly designed and furnished, recently completely redecorated and refurbished (new interior photos soon) enjoys a covered terrace with views of the beautiful Ionian sea and the island of Zante (Zakynthos), including two popular tavernas, one of them Just 100 metres away, Petro's the local village taverna and bar, which unusually is also the local butcher and mini market! Six minutes by car you will find the beaches, bars and tavernas in Kateleios. You'll find car hire and taxi recommendations on our website. Ideal for a couple or family of four this little house is fully equipped to a high standard and recently redecorated. Free Wi-Fi available throughout the property. The open-plan kitchen and living room also has a dining table and chairs, two full size three seater sofas (also single beds) 90cm x 200cm. Ultra HD 4K Smart TV (includes Netflix and Amazon Prime Movies as well as a digital library of movies and Music for most tastes) with remote control soundbar with Bluetooth to connect to your phone and Alexa. The kitchen has ceramic hob cooker, washing machine, fridge, toaster, kettle and coffee machine. Hair dryer, iron and ironing board also provided. The bathroom has a large shower cubicle, sink and W.C. The Double bedroom leads via double doors directly onto the covered terrace where you will enjoy the views of the valley leading down to the Ionian Sea and the Island of Zante. All bedding and bathroom towels are provided but please bring your own beach towels for use on the sun loungers and visits to the local pool bars. The terrace has two sun loungers and a table and chairs for dining al fresco as well as a two seater garden bench. The entire garden is enclosed and has a front gate which can be closed. We operate a live booking calendar for checking availability an making a booking in real time. Minimum stay is 7 days but your start day can be any day to suit flights and prices. Many villas make an additional charge for air-conditioning - we do not provided it is not abused. All doors and windows MUST be closed while Air-Con in use.